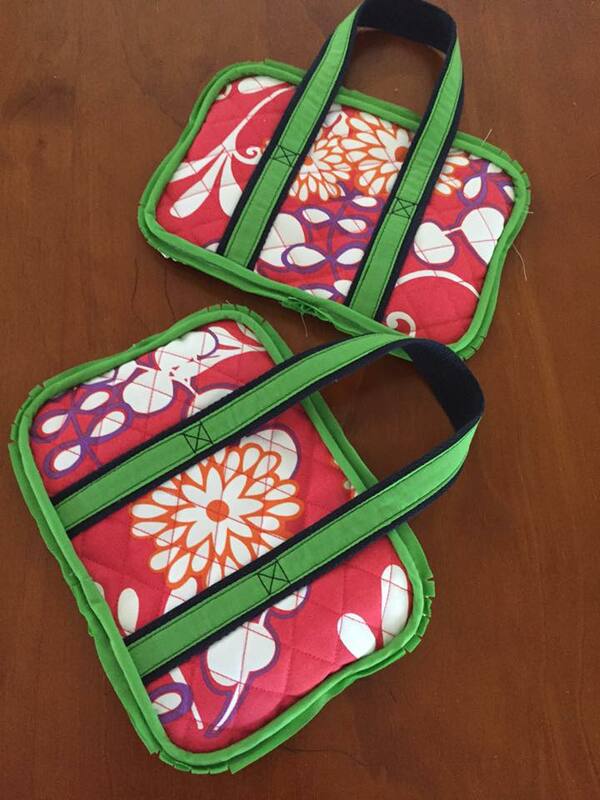 Sewing in Victoria – Join Us! The state of Victoria has a number of Neighbourhood groups divided into three regions:- Northern Melbourne; South East Melbourne and South Western Victoria. The largest concentration of groups is in metropolitan Melbourne but there are groups in Geelong, Werribee and Bendigo. One of the highlights of the Australian Sewing Guild Convention is the Sewing Challenge, which is open to entries from all Guild members. At the 2015 Convention, Noela McKernan was the overall points winner, and winner of the Debutante’s prize! We had a chat with with Noela to learn more about her sewing journey, and her involvement in the Guild. Enjoy! 2015 was the 100th anniversary of the ANZACS. The RSL, as part of this recognition, and after creating hundreds of red poppies, put out a call for the donation of handmade (whether that be knitted or sewn) beanies and scarves for our Australian Defence Forces posted overseas. In WA, ladies celebrated their final contribution, with the organiser throwing herself into it and, onto the table! All neighbourhood sewing groups in the Australian Sewing Guild meet regularly… but does your group have a plan for 2016? Annual (or semi-annual) planning by groups is encouraged. The planning process provides a great opportunity to reflect on what you loved (or would change) about the meetings you held in the last year, and to define your group’s goals for the next year! Start with a basic T-shirt pattern like the one pictured here. You may already have a favourite pattern, or your own knit block – feel free to use that. If not, McCall’s 6964 or Kwik Sew 3766 are good options. Your fabric must be a two-way stretch jersey or similar weight to a jersey. Just make sure it stretches in both directions. You will start by learning how to alter your pattern to create the flattering cowl neck drape. How much drape will be up to you. 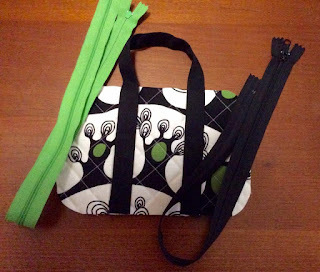 Our very first Sew Along, the Tiny Essentials Tote Bag, was loads of fun. 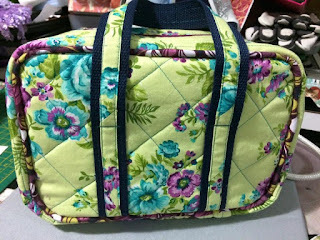 Although the event is officially finished, instructions for making this bag are still available by clicking the link under Sew Alongs (in the right column). Here’s a sample of what was achieved in 5 days. Some got the whole bag finished, while others didn’t quite make it due to other commitments. A great effort from all those who took part. Plans for Sew Along #2 are under way – watch this space! Thinking of joining the AUSSEW Along on 30th November? 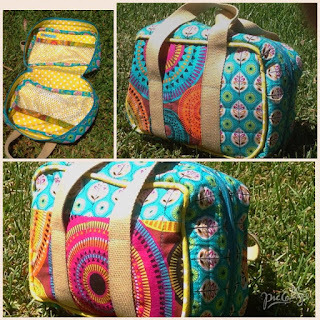 Little Moo Designs is donating three (3) PDF patterns (your choice) to a lucky winner. Check out their pattern shop to see what’s on offer. The winner will be chosen by lucky draw. To be eligible you must submit a photo of your finished bag. Members of the Facebook Group may post their photos to Facebook. If you are not on Facebook you can submit your name and photo to sewalong@aussew.org.au. What is a Sew Along? A Sew Along is essentially sewing a pattern step by step with a group of others. The beauty of the online world is that you can join up and do this together, no matter where you are! You can ask questions, share ideas and tips an post pictures.